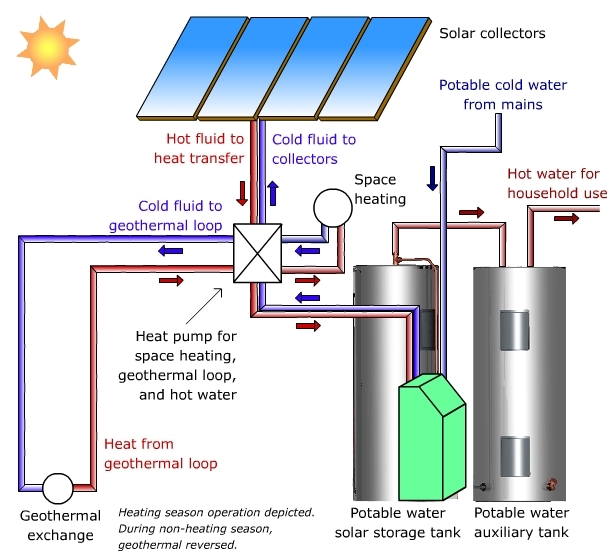 With the rising cost of the fuels traditionally used to heat water in your home (electricity, natural gas, propane, and oil), a solar thermal system combined with a geothermal system will reduce dependence on your existing heating systems (space heating, water heating, and other applications). 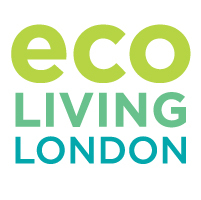 You will see real savings on your utility bills and also help reduce your carbon footprint. 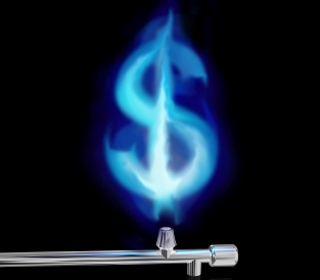 The price of natural gas in Southwestern Ontario went up over 28% in 2013. Geothermal earth loops are designed to transfer the available heat energy to the geothermal equipment from the ground. The earth loop draws significant heat energy and over the heating season the operating temperature of the loop fluid can go from a high of 65 °F at the beginning of the heating season to a low of 30 °F or lower by the end of the heating season. The warmer the earth-loop fluid, the transfer of heat to the residence is faster, easier, and more efficient. While geothermal units are designed to run longer cycles, the warmer the loop fluid the shorter these cycles are, while still satisfying heating requirements. Capital costs for solar thermal systems are more affordable today. Space heating and domestic hot-water requirements consume the largest part of our annual energy consumption, over 75% in most cases. Passive solar thermal systems are capable of harvesting heat energy from the sun, which is normally deposited into a holding tank for use in domestic hot-water usage and space heating. Once satisfied, the novel option of depositing this extra heat into an earth loop maximizes the solar harvesting and in turn enables storage in the earth loop as a heat sink. During the course of a sunlit day, the geothermal system may not be called as the solar system is supplying all required heat. Once demand on the geothermal system is initiated, the fluid will have gained several degrees, resulting in better energy efficiency and higher COP (co-efficient of performance). Reliance on backup plenum heating is greatly reduced. Electrical energy costs are expected to escalate over the next few years, particularly in "peak hour" usage under time-of-use billing. Solar thermal harvesting will become more of a prudent investment. For those already invested in geothermal energy, the addition of solar thermal is an extra layer of efficiency, comfort and reduced energy costs. This integrated package benefits on all fronts as it meets comfort, space heating, and hydronic heating in winter, air conditioning in summer, and domestic hot water all year. All this at the optimum cost and operational performance. Extra solar energy in the summer can also be put into heating a swimming pool or hot tub, after topping up the geothermal loop. Doing nothing may be the least attractive option. As we experience higher energy bills, our ability to pay these costs are becoming a larger portion of our income. The capital costs for a solar system is a one-time investment that delivers for generations. Harvesting solar energy is clean, practical, abundant, healthy, prudent, easy, and once in place saves money from the beginning. A "dollar saved is a dollar plus" since energy bills come with many added expenses, including taxes, debt retirement, distribution costs, and so forth. The "Big Ball" is in your court now!